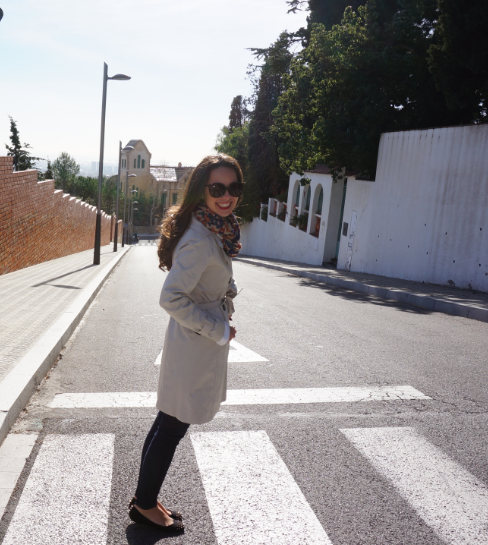 ¡Por fin tenemos sol! Aquí tenéis un conjunto cómodo para pasear por Barcelona: una gabardina de color beige con unos tejanos y, como toques de color, un pañuelo, el esmalte de uñas y el pintalabios. Finally, here we have the sun! That’s a comfy outfit for having a walk around the city: a beige trench with jeans and the touches of color in the foulard, the nail polish and the liptick. 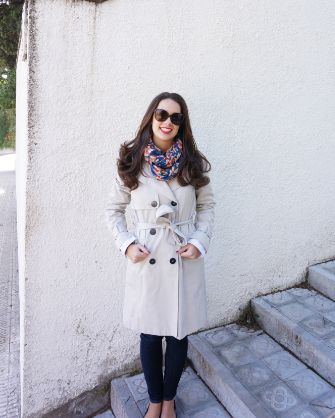 love this trench and also your blog! It's so nice!!! I follow you! Me encantan los looks con gabardina, y el pañuelo le da un toque de color genial!! thank U so much for your comment!!! Thanks for your comment!! 😀 I'm so glad you like it!! Nice post marta! But I prefer the one with your rubber riding boots! Thanks for your comment & have a nice week-end! Yeah!! For those rainy days, that we've had in Barcelona, that outfit has been useful! Me encanta el look, el pañuelo es muy bonito!!! I'm soo glad that you like it! !